Loomstate !Act Natural! Blog: Music From Six Continents! Tired of your summer playlist already? Well, here are some new treats for your ears! 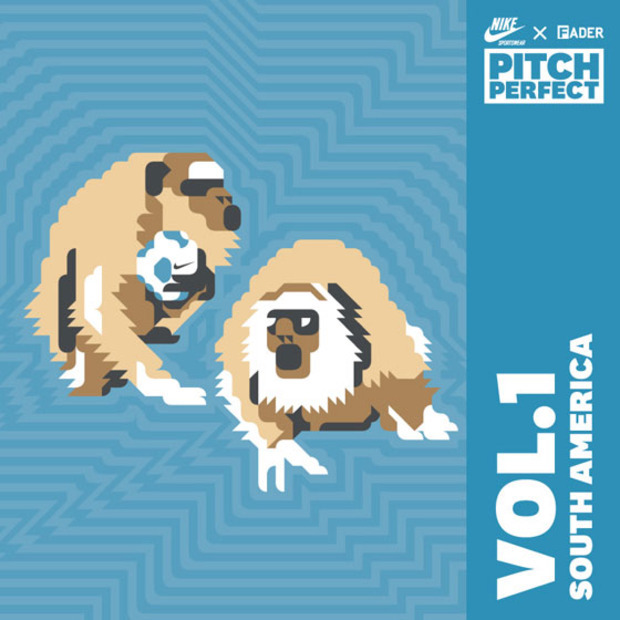 Our friends at Fader Magazine have teamed up with Nike Sportswear to bring us a collection of sounds from six continents (excluding Antartica...) for their "Pitch Perfect" program (which we think is celebrating the World Cup since each mixtape graphic features a soccer ball with animals). Listen to the first volume, the South America mix, and work your way to the sixth, Africa. You can also download them via iTunes for free. We promise they'll freshen up your playlist!